If you want to experience some of the best art in Britain then you cannot go wrong with visiting Bradford. It has an abundance of great galleries for families to visit. In one section of this website we talk about the most interesting ones and the reasons to check them out. 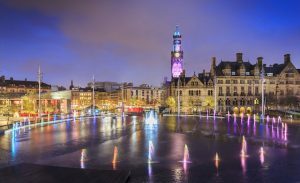 If you want to experience a fun day out in Bradford based around going to see fantastic art then our site allows you to make the most of your time. We have a handy guide on what to do during your time here and how to make the most out of your itinerary. Bradford has inspired countless artists, many of them actually having been born there. We have a section that lists and details these individuals. Some of these artists are not as well known in modern times. It is hoped that by reading up on these people you get a broader sense of just how significant Bradford is to the world of art. The main purpose of this site to arm the reader with knowledge relating to the art works and galleries within Bradford. This is a richly cultural place that has many different places of historical interest. Art should not be restricted to classical paintings. There are many other pieces of experimental modern art that visitors get to enjoy everyday. We talk about some of these modern art spaces and the best reasons to go and visit them. Whether you are planning to visit Bradford solo or with a family this site should help you.